Unique Color Combinations in the Summer Garden are Hot!! 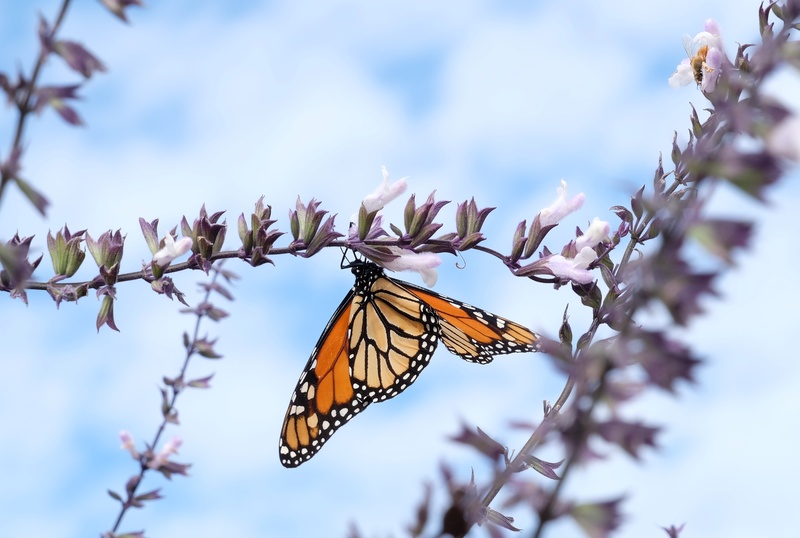 It’s been amazing to watch the arrival of Monarch butterflies here at Juniper Level over the last few weeks, where they seem particularly attracted to the array of perennial salvias in flower. Here’s one of several I photographed that were spending several hours on our clump of Salvia ‘Phyllis Fancy’. 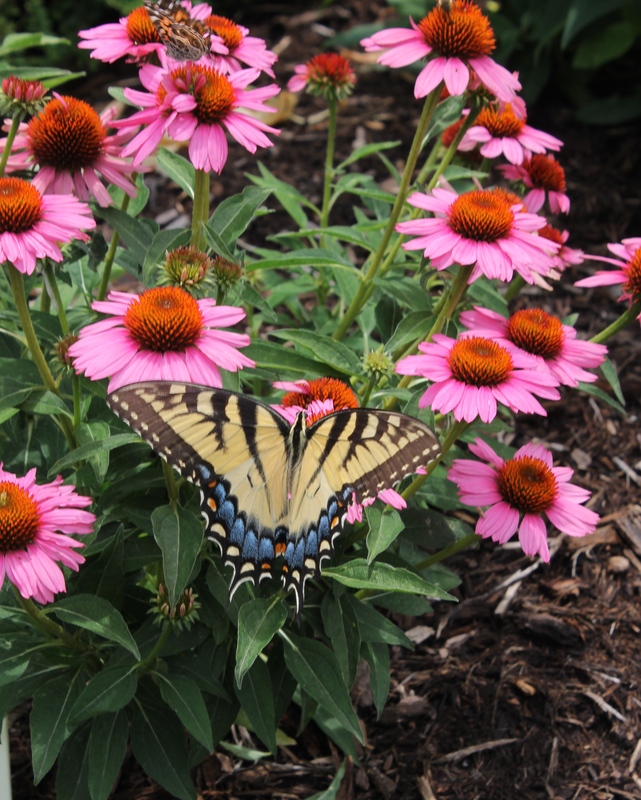 We hope you’ll all plant your gardens to attract more of these amazing butterflies. Allium ‘Millenium’ is looking great now in our full sun rock garden. As I travel around the country, it’s great to see this ornamental onion finally getting planted more. Unlike many of the larger alliums that go summer dormant, this one doesn’t really start flowering until mid-July and continues until fall…a favorite of yellow swallowtail butterflies in our garden. 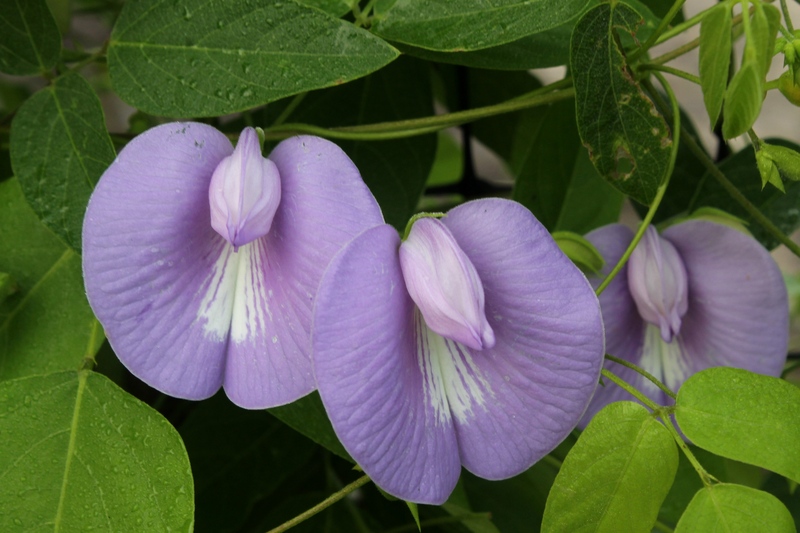 I just snapped this photo yesterday in the garden of the native (Illinois south to Florida) Centrosema virginianum (butterfly pea) vine. We don’t currently offer this, but if we did, would you buy it? 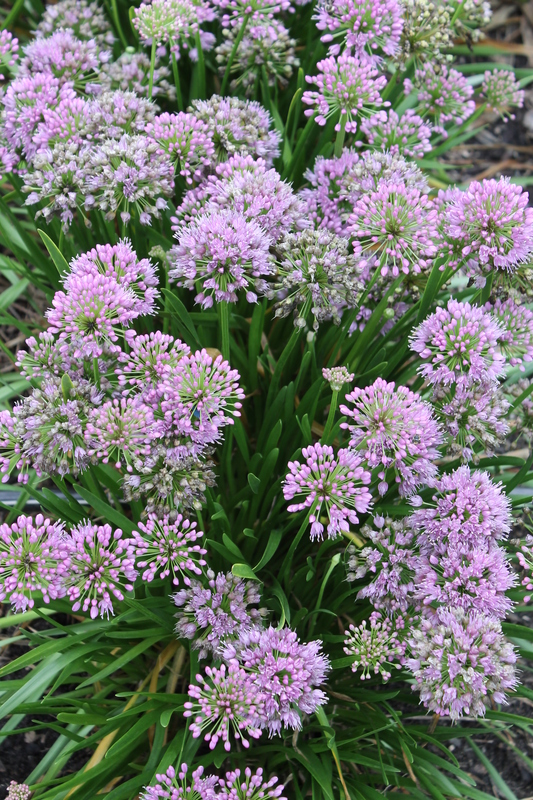 See the top 25 flowers that attract butterflies here.